To help you stay up to date about the latest products, programs, and technologies to grow your practice and satisfy customers, we’re sharing the latest details about the broad selection of digital and in-person training for L100 sales and advanced L200/400 technical readiness, developed in conjunction with the Business Group, the One Commercial Partner team, and engineering. We’re also offering three in-person advanced programs for training our top partners. Business Value Selling program. Select OCP co-sell prioritized partners might qualify for a training track that enables them to have access to many of the same resources Microsoft uses with its own sales teams, including regionally delivered two-day selling bootcamps. If you have questions about the BVS program, email the MW BVS Support Team. SureStep for SMB. SureStep is designed for the top 12 Indirect Cloud Solution Provider (CSP) partners. The goal is to build sales ambassadors who are focused on selling solutions to smaller customers, by leveraging sponsored local resources to recruit, enable, and drive sales acceleration. The training content uses the SMB Modern Workplace partner practices as the foundation and builds on this with in-depth product and profitability content. Microsoft 365 Business Scholarship. If your organization is eligible, you might earn the opportunity to send one or more staff members to the Greek islands in May 2019 for advanced L400 Microsoft 365 business training. Microsoft pays for certain costs associated with the trip. To help keep you informed as quickly and efficiently as possible, the corporate marketing and engineering teams are sponsoring more than 80 webinars this year. New content for Teams, security, modern desktop, and SMB is added each month. Following is a selection of upcoming webinars for the remainder of H1. Microsoft Ignite, the Tour brings developers and tech professionals together to continue to learn alongside experts. Participants engage through hands-on L300 labs focusing on Teams, Skype to Teams transition, security, and modern desktop. Find an Ignite, the Tour event near you. Our most advanced technical training is developed in conjunction with product engineering. In-person events are often hosted by program managers and developers who are responsible for the product features being discussed. Digital content provides comprehensive, step-by-step tutorials that use actual product demo environments. Microsoft Teams. L400 hands-on labs are coming soon for deploying and managing Microsoft Teams and developing applications within Microsoft Teams. Modern desktop. Modern desktop deployment labs enable you to get hands-on experience in how to deploy Windows 10 and Office 365 ProPlus with Microsoft System Center Configuration Manager, the Microsoft Deployment Toolkit, and more. Beyond deployment, these labs also show you how to configure new capabilities across OneDrive Known Folder Move, Windows Autopilot, defense in-depth security, analytics, and others. Learn more about the variety of sales and business training available on demand through the Microsoft 365 Partner Portal. Make sure you’re among the first to get the latest details by subscribing to the Microsoft 365 partner newsletter. If you’ve been nominated to participate in the Business Value Selling (BVS) program, sign in to transform.microsoft.com to access the curriculum. Register for the Business Value Selling Hands-on Bootcamp in your region. Take advantage of the digital version of the SureStep SMB training content through the Microsoft 365 Partner Portal. Sell Microsoft 365 Business and learn more about how you can receive free SMB training in Greece. 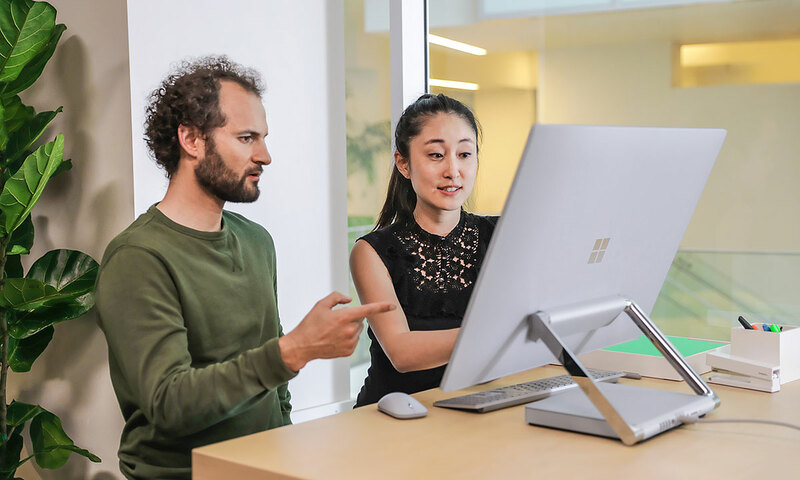 Register for our webinars to stay up to date with the latest product, program, and promotional news about Microsoft 365. Register to attend an Ignite, the Tour event near you. Have your organization’s deployment specialists complete the modern desktop deployment lab.